The Code can be used as evidence in a court or tribunal case by a leasehold manager, a leaseholder or their family. It not only sets out the statutory obligations that apply to the management of leasehold properties, but also the additional requirements which should be followed as a matter of good practice. The Code of Practice forms a benchmark for Leasehold Valuation Tribunals in the exercise of their role in relation to the management of retirement leasehold properties. This makes the code an extremely useful source of reference for both managers and leaseholders, as it provides clarification around the level of service they can expect to receive. As a consumer, if you think your manager is not reaching those standards then the Code and its simple terminology provides you with the means to support the concerns you may have. 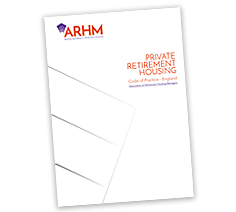 All leasehold retirement schemes should have a copy of the Code available for its residents. The Code of Practice for Wales was successfully launched by Jocelyn Davies AM, the Deputy Minister for Housing at the Senedd in Cardiff on 22 November 2010. 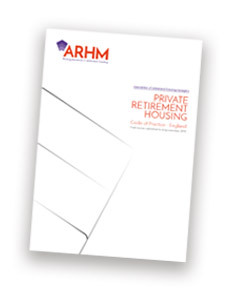 The ARHM remains committed to raising standards in retirement housing across the whole of the UK. The ARHM has also achieved success on a national basis. The Code of Practice for Scotland was launched by Alex Neil MSP, the Housing and Communities Minister for the Scottish Government on 26 October 2009. The ARHM Code of Practice for England was launched on 1 June 2016 by the Government under the Leasehold, Housing and Urban Development Act 1993. It aims to promote best practice in the management of leasehold retirement housing, regardless of whether the services are provided by private companies or housing associations.